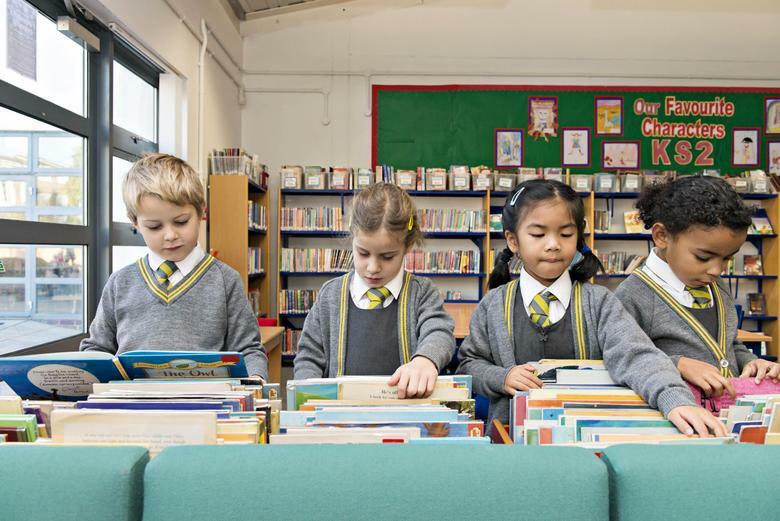 The school bookshop gives children in all years the chance to buy a book of their choice. The selection on offer covers all genres from sticker books to classics and range in price from 50p to £7.00. Each week on a Friday morning (09.00 - 11.00) a group of parents man the shop. Children from each class are invited to visit the shop where they can choose a book to save for. Once they have reached the required amount the book is theirs to keep and take home. The aim of the school bookshop is to encourage children to enjoy reading, to develop a stronger sense of self by allowing them to make their own choices, as well as teaching them the importance of saving. All profits from the school bookshop are used to purchase individual classroom reading books. The school bookshop is flourishing at the moment, with almost all children in Reception and Year 1 visiting us on a regular basis. We’d like to encourage parents of those in Year 2 & 3 to remind their children that we are open every week until 11.30am to visit us during their breaktime to have a look at our books, and to lodge money in their bookshop accounts. We encourage you to send them in with 50p or £1 each week, with an upper limit of £2, so that week by week they can watch their savings grow and within a few weeks they get their prize - their new book. The excitement and delight on their faces when we tell them they have enough money to take their book home is simply enchanting. As a new initiative, we have opened up Bookshop to years 4,5&6. Twice a term, the Friday before half term and the last Bookshop of term, all ‘chapter’ books are £5 or less. Children can bring in up to £5 and purchase a book of their choosing, without having to visit us on a weekly basis. They then have an opportunity to have a new book over the holiday period to keep them occupied! We will put a reminder on the school communicator a couple of days before these focussed bookshop sessions in the hope that we can continue the encouragement of reading throughout the school. Authors that have recently been featured in our book collections include Anthony Horowitz, Liz Pichon (author of the highly popular Tom Gates series) and David Walliams. We also have some more traditional books and authors including Little House on the Prairie, Enid Blyton and Roald Dahl. Something to remember is that all books are sold below the RRP of the book. All profits from the bookshop are given back to the school. We have recently made a donation to the school in the region of £4000 to replenish books in the school library and across the classrooms.